Join into any bike theft debate and you’ll likely hear, “If everyone just used a U-lock, bike theft would all but vanish.” True, many of the reports we get and discussions with our partners suggest that cable locks are the #1 choice for thieves. 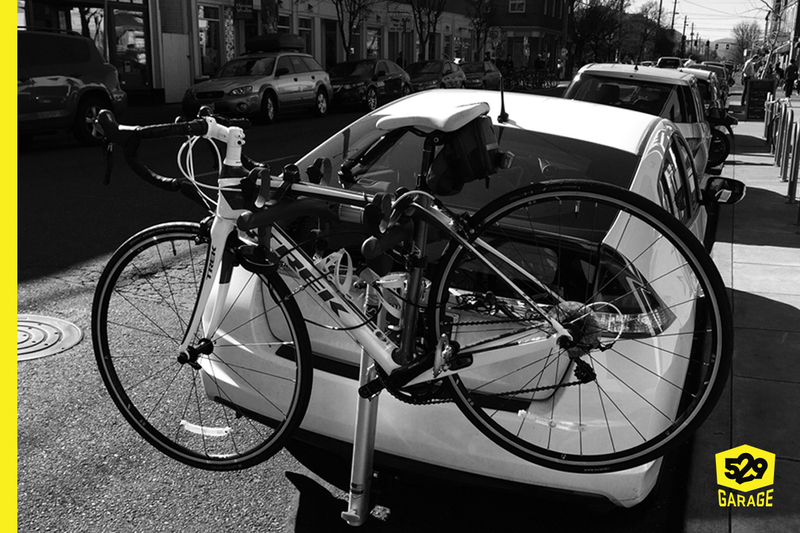 However, there’s a real lack of research and data around how cyclists generally are actually locking their bikes – most data comes from how victims had locked their bikes. 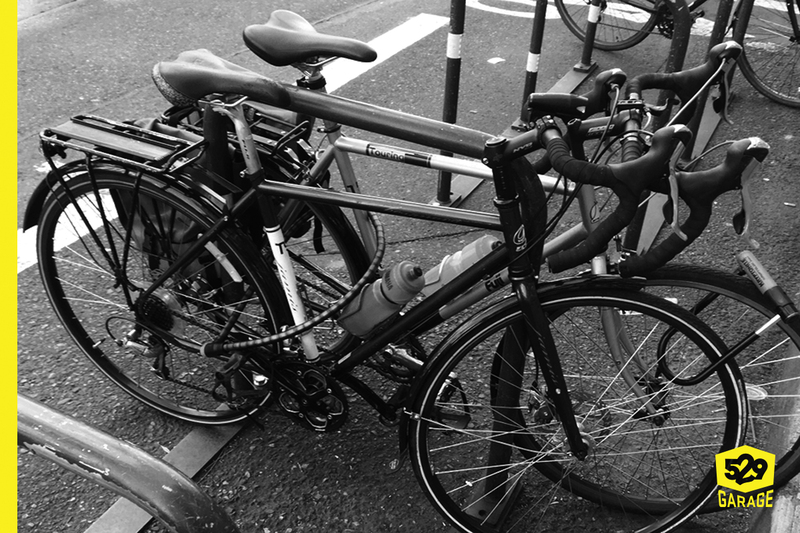 I set out this weekend to learn more and set a goal to collect data on 529 bikes to see how cyclists in Portland lock up. I slapped together a quick database and armed with an iPhone and beer money, hit Portland to test my intuition, unsure whether or not I would learn anything new. The results were interesting enough to share some early findings and motivated me to invest more time in expanding the sample size. Disclaimer: While this is a good sample to base some initial findings on, we’re definitely interested in expanding the geographic coverage. Drop us a note if you’d like to help collect samples. I’d love to collect data on 5,000 bikes this month. It’s super easy, and pretty fun. The biggest statistical surprise was how many bikes I couldn’t identify by brand. I’m no historian, but I know bikes reasonably well. I wasn’t surprised to find some relatively obscure rides (Libertas & Robin Hood for example), but the big surprise was how many owners have repainted, removed decals or stickered the heck out of their bikes with no visible brand to the untrained eye. There’s no single reason for these treatments, but would you believe that nearly 30% of the 529 bikes did not have easily identifiable manufacturers? I’d probably have guessed 10% or so before venturing out. Perhaps you’re thinking, “it must be all those fixies.” Well, partly. I didn’t take the time to differentiate between single speed and fixed gear, but only 14% of the bikes had one speed, meaning more than half of the “Noname” bikes were geared. It felt like a fleet of Millennium Falcons out there! Well, Portland. One of the objectives was to get a pulse on how often Portland cyclists invite “bike prowls” (a term referring to a bike that has been stripped of one or more components or vandalized), so I inventories helmets and removable accessories as part of the data collection. While I’m not sure how profitable it is for a a thief to flip a nice $80 rechargeable headlight, they are pretty easy to pick off if one is so inclined (most of them have quick removal capability). And, of course there are the jerks out there who just like to vandalize other peoples’ property. Removable lights, waterbottles, pumps and helmets are found on about 1 in 5 bikes surveyed. About 11% of the bikes had some form of a removable accessory (light, saddle bag, pannier, lock) for the picking and 17% of the bikes had a helmet left with the bike. Of the 80+ helmets I saw, only one had a lock passing through a vent hole or the strap. Every other helmet was simply clipped to the frame or lock and easily removed. Quite a number of bikes had sizable bags, clearly holding belongings that were not secured and I spotted a half dozen trailers that were well stocked and generally out of sight. Another data point that struck me was how well-worn the locks were that people were using. While I didn’t explicitly count them, I’d say that no more than 15-20% of the locks appeared to purchased in the last 2 years. The vast majority of the locks have been servicing their owners for a good number of years which reinforced how smart it is to invest in a quality lock and how committed Portlanders are to cycling. When you divide $80 across 5-6 years, it’s worth it to buy a 5+ year lock. 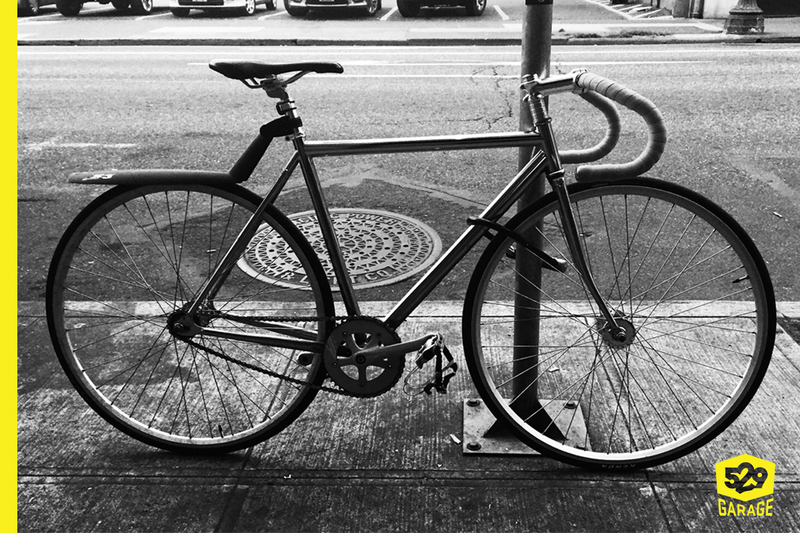 How Well Do We Lock Our Bikes in Portlandia? Okay, the big question most readers will want to know is “how many cyclists use U-locks?” Going in, my guess would have been around 60-65%. 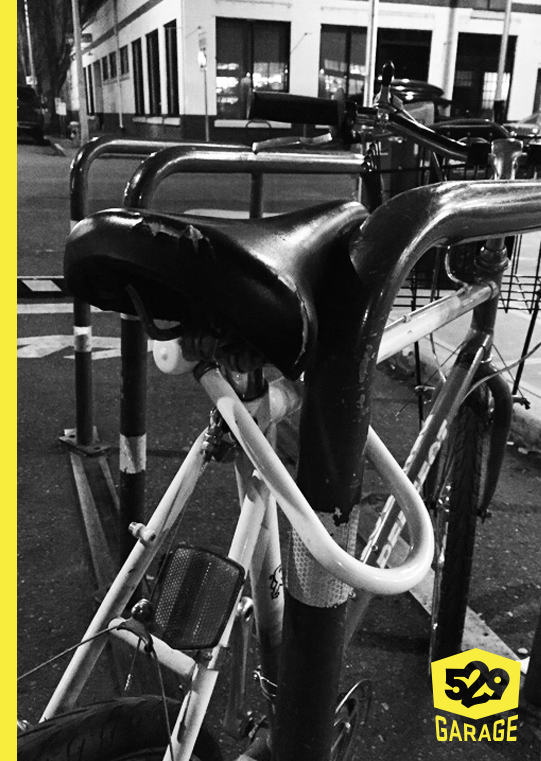 Survey #1 says… 84% of Portland Cyclists are using U-locks. As expected, Kryptonite was the #1 brand out on our streets. How effectively cyclists are using them might be unsurprising, but it was a bit unsettling after looking at 500 bikes. Take this example, where removing the saddle, taking the bike and then replacing the saddle is a 30 second operation (around 10PM in the Pearl with no open businesses on any of the 4 corners). It would have taken the owner no additional time or inconvenience to lock the frame to this staple rack. Conclusion: there’s definitely room for education. 1. Remove saddle. 2. Remove bike. 3. Replace saddle. 4. Ride away. While this might seem to be an extreme example, I saw 4 cases of this particular approach… and the other 3 quick release saddles setting up for a no-tool, 10 second, complete bike heist! What’s worse than just locking just the seatpost? Not locking at all! 9 of the 529 bikes were completely unlocked (and probably about $600 on average). The kicker? Every single unlocked bike had a perfectly good lock attached to the frame for transport! Drunk? Distracted? Forgotten keys? I’m not sure, but it was surprising to see a brand new $800 Public commuter with the $85 New York lock mounted to the seat tube on the east end of the corral in front of the Ace Hotel. More shocking that it was still there an hour later. Proper locking technique was another big question in my mind. About a third of U-lock owners secured the frame and the wheel with the U-lock to the rack. 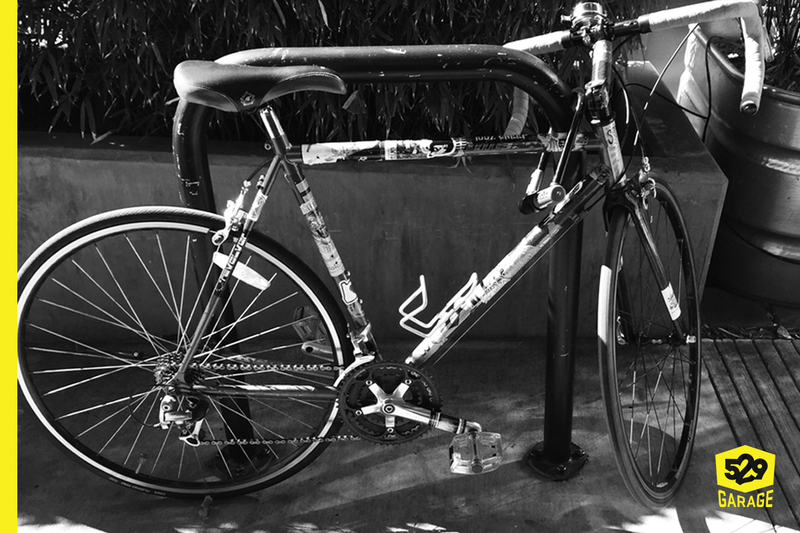 The most common U-lock approach viewed was a locked top tube with the staple, leaving the wheels and saddle exposed to prowls. Note: when I say “rack,” I am generally referring to the abundant Portland “staple” racks (next time you travel, you’ll be shocked at how dense proper bike parking options are in Portland). How many prowls? 18. And, would you believe it if I told you that 20 people locked their bikes to a 4′ parking sign, 6 of them with cable locks! Those parking signs? One allen key, two bolts and 20 seconds and a thief has that bike up and over the post. How about the U-lock+accessory cable trend that lock manufacturers have started promoting? Not that terrific in the adoption category yet – only about 6% – but more to the point, 60% of them were used incorrectly. By far, the most common application is for owners to lock their top tube with the U-lock and then loop the cable through one wheel. Only 2-3 riders used the accessory cable to secure the seat or second wheel and used the U-lock to secure the frame and wheel to the lock. Of course there were some examples of more-than-once-bitten cyclists that really didn’t want to lose anything. I saw 2 bikes that had removed the front wheel and locked both wheels and frame with a single U-lock and one bike with 3 U-locks attached. The value of the bikes in the sample set also surprised me a bit. Going in, I’d have thought maybe 10-15% of the bikes would be valued at $1,000+ (an important value for law enforcement – greater than $1,000 is a felony). Turned out $1,000+ bikes represetned only about 6%, with cargo and electric bikes making up about half of the mix. There were a couple nice road bikes right on the margin, but for the most part, any high-end carbon road bikes I saw over the weekend had riders attached or were within 3 feet of their owner at the coffee shop or pub (and not included in the survey). The one exception of easy-to-snag higher-end bikes were parked on car racks. Only saw 5 bikes attached to cars that were parked, but 5 of 5 were trivial to swipe. 2 of them relied on the built-in cable or clamp lock and the other 3 had no lock whatsoever. To satisfy my curiosity, I went back :20 min later to each of the cars and in each case they were still there. These were not a simple case of running in to grab something, but people actually parking their cars for extended periods with no meaningful security on their rides. Subjectively, it seemed there was almost an inverse relationship between the monetary value of the bike and the quality of the lock job. I saw a pair of electric assist Bullitts cable locked together to a parking sign and saw a beat-to-crap fixie with triple U-locks. Perhaps when thinking about “value”, it’s not about the retail value of the bike, but of the value of the bike to its owner when it comes to how well they lock them. Before you jump to these owners’ defense and cry, “but if someone came by and took a bike off the car or dismantled a sign, people would call the cops!”… consider this: I took photographs and details of over 500 bikes this weekend generally in a black hoodie, ball cap and across all hours. I hovered from bike to bike and explained nothing to anyone. And, I took 3 parking signs apart in broad daylight (don’t worry, I put them back together). No more than 10 people engaged with me actively in any way over the entire experiment and only one of them expressed any suspicion or concern. In trying to “grade” Portland on the locking efficacy, I’d have to say this sample represents a typical bell curve. A small number of riders aced their lock jobs, securing both wheels and their frame, removed their accessories and chose a good location… A+! About 5-10% of cyclists blew it, earning an F, by effectively inviting thieves to establish a new home for their bikes. Finally, while the bulk of the riders were well intentioned and bought a good lock, most didn’t spend the extra few seconds to help defend better against a simple prowl or leveraged U-lock attempt. B-. The good? Frame and wheel locked, no quick-release levers. The bad? Attached to a 4′ signpost and not the blue staple rack 6 feet away. Always use a staple rack, or other bike designed fixture to secure your bike. Secure a wheel and frame with a high-quality U-lock. Report suspicious activity to the non-emergency line (503-823-3333). Finally, watch fellow cyclists as they lock up… if you notice someone doing a poor job locking their bike, suggest improvements. While educating a fellow rider might be a little awkward, they will appreciate the knowledge (and use it next time) once any embarrassment wears off. I’m still interested in collecting more data and would love help getting more samples. But, the experiment was telling enough that we’re still making it too easy for thieves. At the hospital I work at, the bike racks are next to the needle exchange vending machine. This has lead to me encouraging people to lock their bikes in a more secure (hidden) location after hours. Your article is very informative. I have found that the city in which I live, “U” locks are unpopular with the most popular being the coiled wire ones. I have talked many people out of the combination locks by showing them that if they are stomped on, it warps the coils in the lock which makes it very easy to pick. Thanks for the article, From Australia.